Over the last several weeks, Virginia International University students, faculty, and staff collected over 800 blankets, comforters, and other linens to help Syrian and Iraqi refugees in Turkey. Last year, a group of local community leaders and organizations organized this blanket drive for refugees after visiting refugee campus in Turkey. Their effort resulted in the collection of 18,000 blankets which were then delivered to the refugee camps in Turkey and helped keep countless families warm through the harsh winter. Recognizing this extraordinary achievement, VIU’s School of Public & International Affairs (SPIA) honored the drive organizers and pledged to be a partner in the 2014 drive. This year, even more organizations, community groups, businesses, and individuals are participating to help with this important cause. VIU — working in conjunction with Fairfax, Loudoun, Prince William, Arlington, and Stafford Counties; the Cities and Towns of Alexandria, Fairfax, Falls Church, Vienna, Purcellville, and Dumfries; the Northern Virginia Regional Alliance; the American Turkish Friendship Association; Embrace Relief; Pinnacle Academy; Rumi Forum; and countless other local organizations and businesses — has been spearheading this effort in our local communities in order to reach the regional goal of collecting 100,000 blankets. Maersk Group has generously offered to transport all the blankets aboard their ships at no cost. Virginia International University, as the only university partner, was able to mobilize all of its students, faculty, and staff and to surpass all expected contributions. This would not have been possible without the generous support of President Dr. Sarac, who recognized the value of this initiative, as VIU is dedicated to social responsibility. Four donation locations were established, one at each of VIU’s campus buildings, and many students, staff, and faculty brought in gently used blankets from home; some even donated brand new items. The Latin American Culture Club organized a dynamic “Dancing for a Cause” fundraiser, complete with salsa dance instruction, and collected many blankets as well as money with which to purchase additional items. The VIU Student Government also helped to raise awareness of the cause. In an effort to mobilize the entire community, the SPIA team reached out to 50 local hotels and many of them donated gently used blankets and comforters. Comfort Inn University Center’s team was outstanding and deeply inspiring in their major contribution to the drive, with the most substantial donation of over 400 blankets. 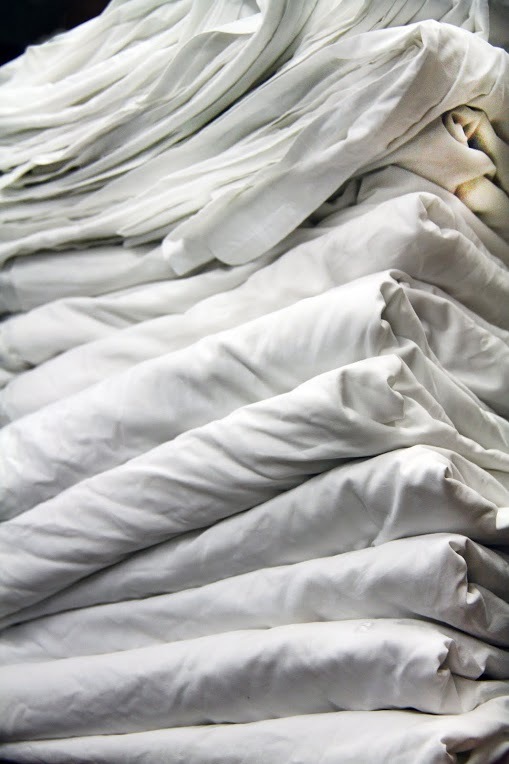 Sheraton Reston also donated over 300 king-size cotton sheets. Finally, several other hotels donated smaller amounts with many of their staff members purchasing new blankets specifically for the effort. They did this in a spirit of generosity and professionalism that was exceptional and beyond anyone’s expectations. The entire effort was logistically complicated, and the SPIA team received help from many students and staff who volunteered their time driving, loading, unloading, sorting, packing, and folding. We would like to express our most sincere gratitude and appreciation to the entire university community and all of our wonderful new partners. It is thanks to their many generous efforts that we were able to come together as a community and support some of the most vulnerable among us. To find out more about the initiative and see how you can help, please visit www.helpsyrianrefugees.us.